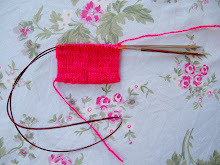 So, if you have read parts of my blog, you'll know that I love sock knitting! 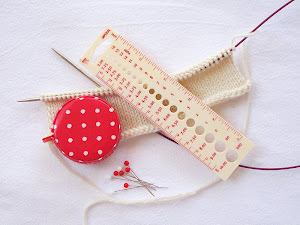 I think the technical aspects of it fascinate me more than the actual knitting , although, of course the two go hand in hand. 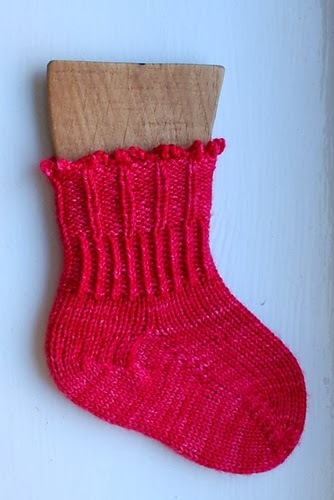 When I started learning to knit socks, I was completely out of my depth. 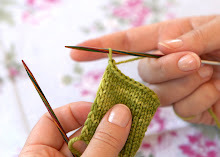 There are SO many different ways to knit socks...toe up, top down...each of which has a myriad of ways to make a toe and a heel. 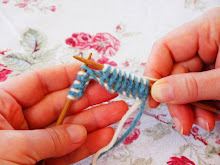 "When I started knitting, I always swore I would never ever knit socks. 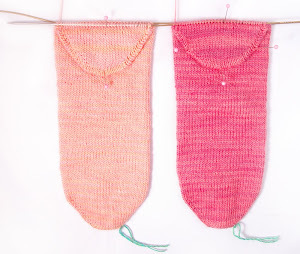 You know what they say about “never say never”… I am now well and truly hooked on sock knitting. 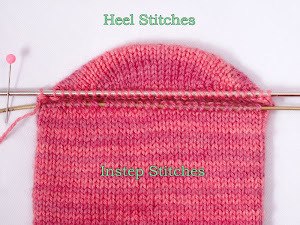 This book was born from the idea of trying the many different ways of turning a heel, without committing to a full size adult sock. 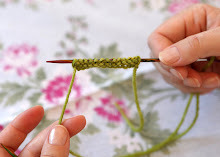 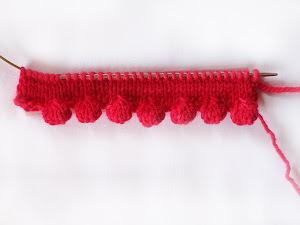 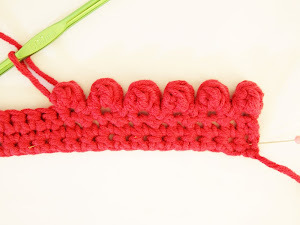 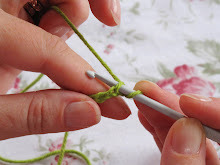 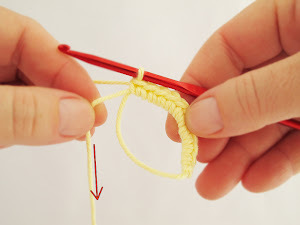 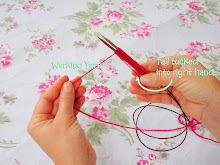 Often, a new technique is best learned and practiced on a small scale, before we unleash our knitting powers on a larger, more complicated pattern. 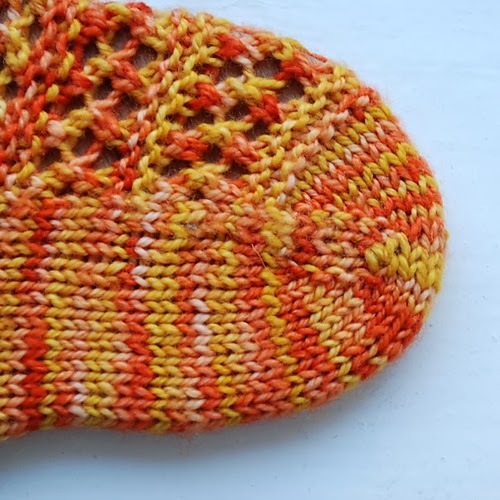 Baby socks are the perfect vehicle for trying things out. 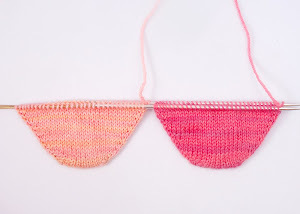 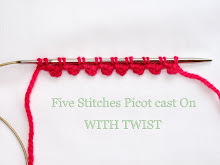 They are quick and easy, take minimal yarn and result in the cutest itty-bitty socks. 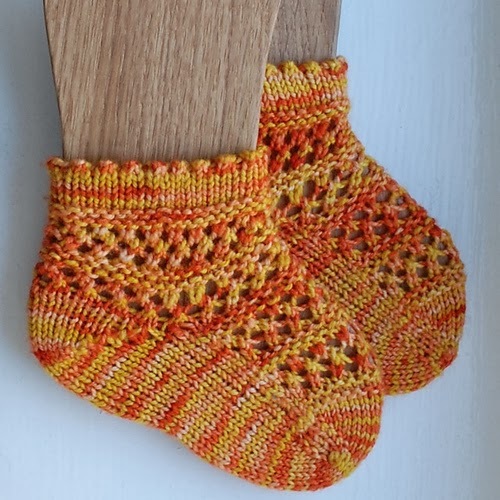 Great if you have little ones in your life who need warm toes and equally great for learning techniques and knitting purely for the process of working through the heel, before embarking on a larger scale project. 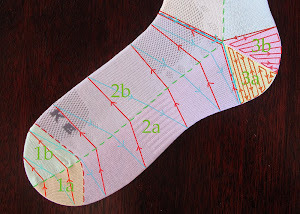 All the patterns are written bearing in mind that you may not have encountered this heel technique before or may be new to socks. 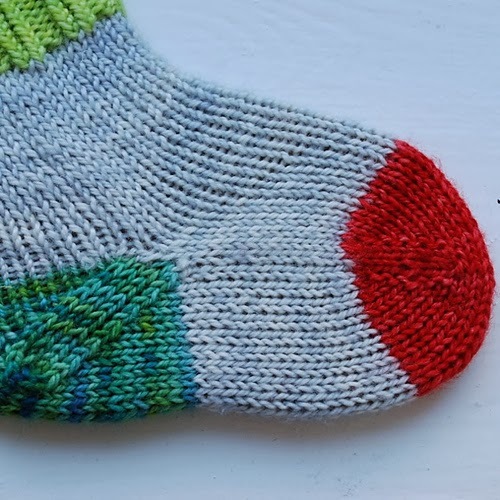 There are detailed step-by-step instructions that will enable you to successfully knit these socks with minimal previous sock knitting experience. I hope you enjoy working your way through these designs." 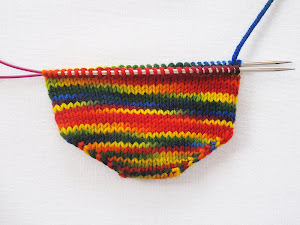 Flexor is a pretty colorful sock that features a afterthought heel, and can be knit top down or toe up. 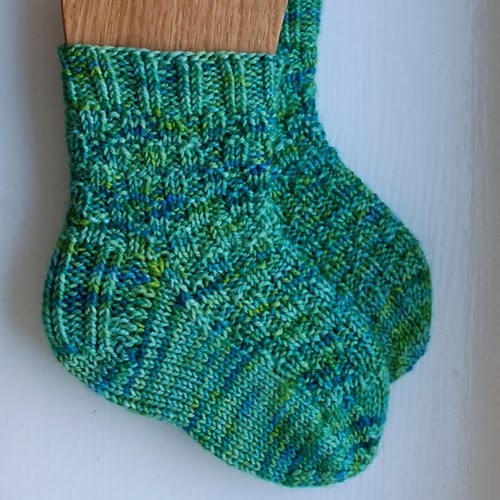 Tarsi is a textured sock, knit cuff down, with a heel flap and a rounded heel. 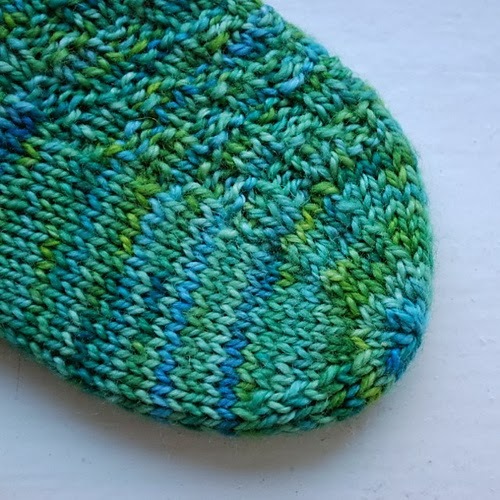 Planum is a toe up sock that has a faux heel flap and a ribbed cuff. 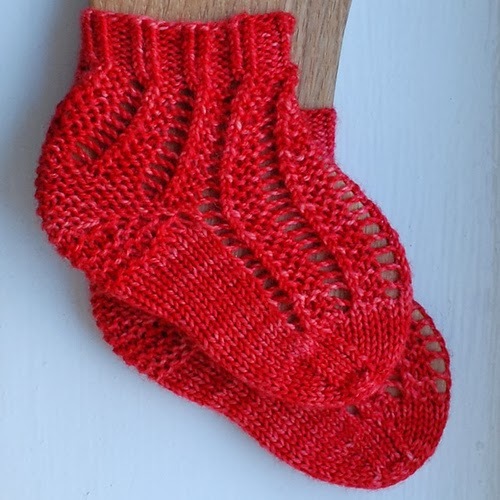 Phalanges is a little lace sock, knit toe up that has a short row heel and boasts a gorgeous little folded picot cuff. 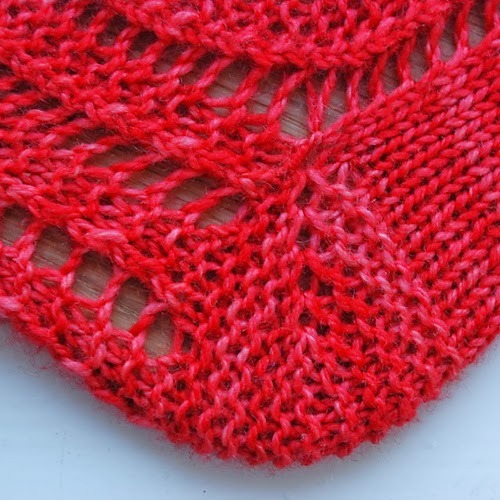 Bursa has a garter stitch short row heel, is knit from the top down and has pretty lace columns. 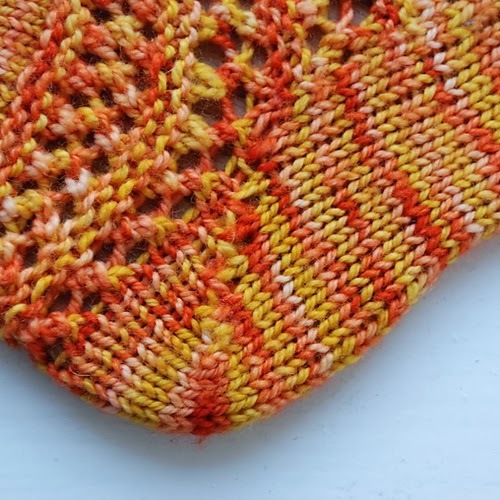 Tetius is a little cabled sock, knit top down using a heel flap with a V or half- handkerchief heel, which is awesome because the cables run onto the heel. 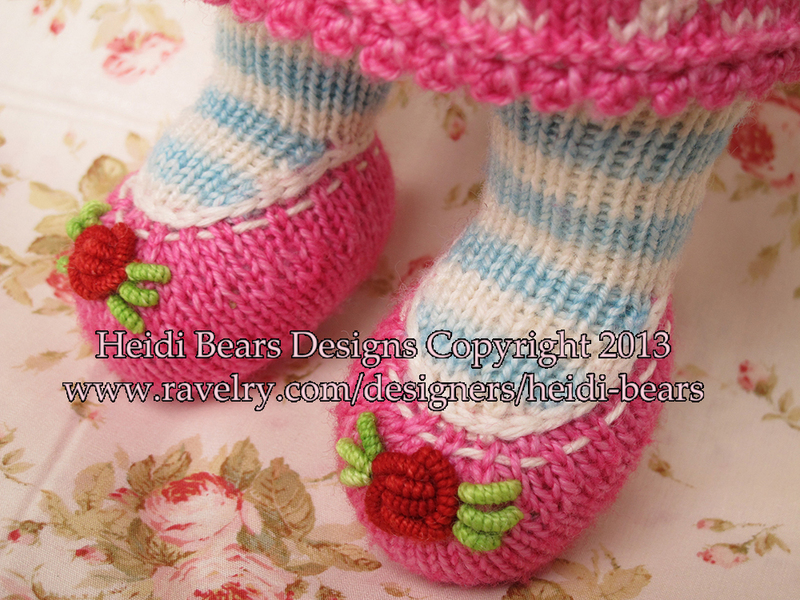 Brevis features a heel flap with a German or Band heel turn. 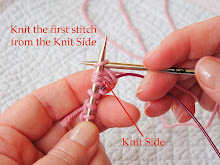 Longus is constructed using a Dutch or square heel turn. 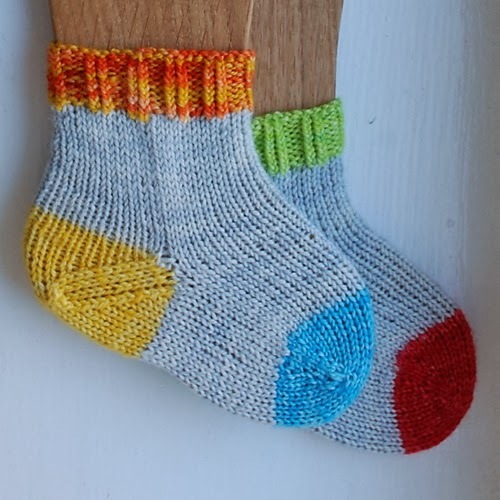 Ossa is a colorful, clever little sock that features a variation of the afterthought heel: the star heel. 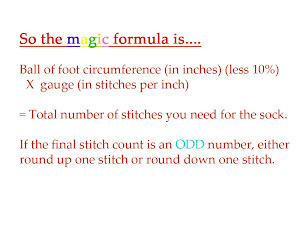 The book is amazingly well written. 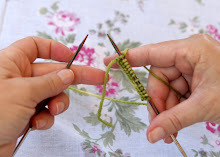 Clare takes the reader through every aspect you need to cover including what needles to use, information about yarns, techniques with links to explanations, favorite cast-ons and cast-offs, step by step short row instructions, detailed sock anatomy and more. 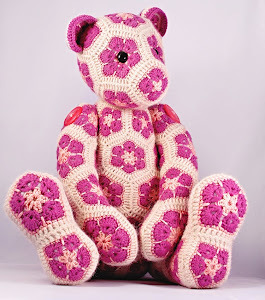 Each pattern is sized from newborn to 3 years old. 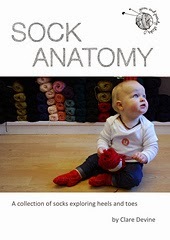 Honestly folks...if you buy one sock book this year, this should be the one! 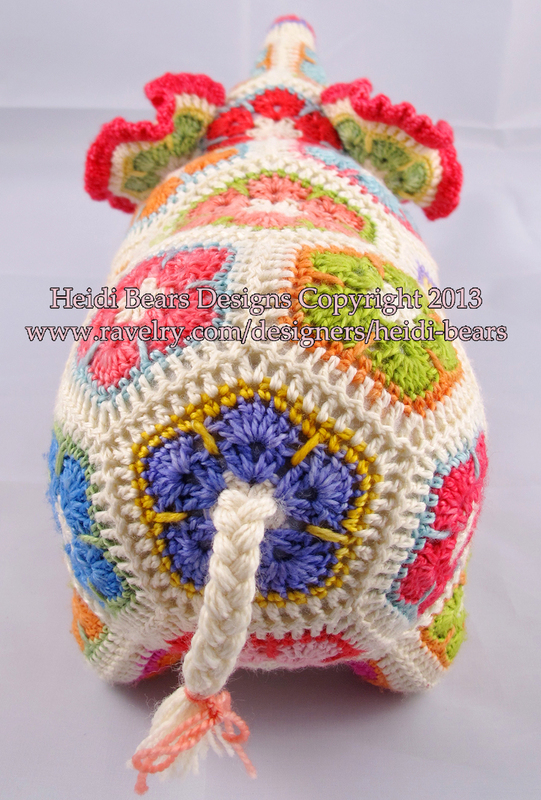 All of the patterns have been test knitted and tech edited, so it is an absolute pleasure to read and use. If you would like to be eligible to win a copy of this ebook, please leave a comment on the following blog post, mentioning your favorite sock pattern from the book, as well as tweeting about it. 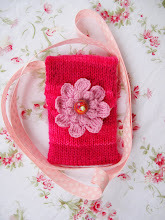 When you click on the link below, you will be taken to the ebook's purchase page on Ravelry. 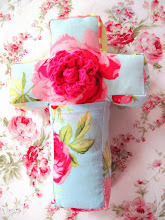 Click on the "Buy it now" button. 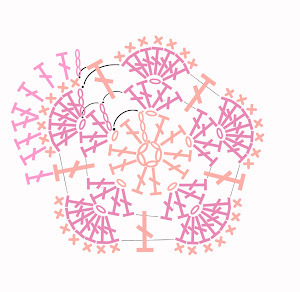 A pop up will appear that has a coupon code box into which you type the code above in order to get your discount. 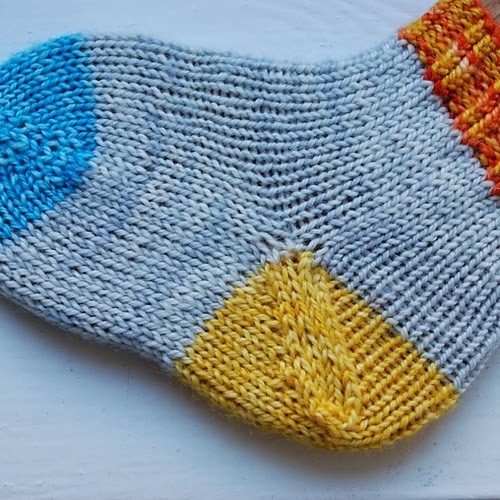 Clare will be hosting a Knit-along on her Ravelry group soon, so if you feel a little daunted by the prospect of learning alone, have no fear...you can join in for advice, encouragement and know you can learn to knit all kinds of socks! 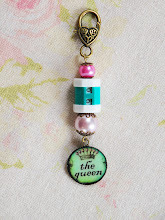 The winner will be chosen by random number generator on Sunday the 12th of January 2014 at 19H00 South African time. 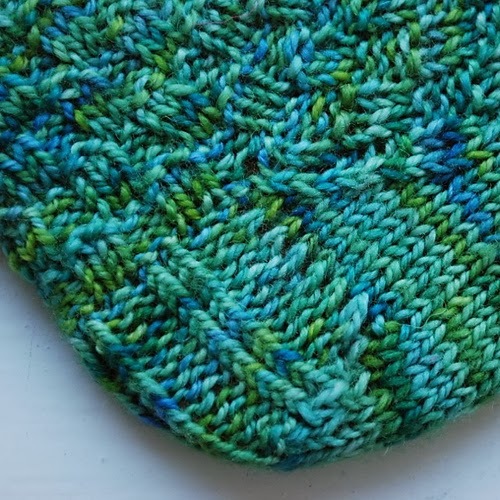 The winner will have to be a Ravelry memeber with a username, in order to have the ebook delivered into their Ravelry library. 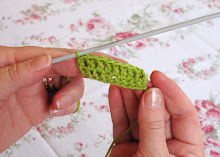 So, that's my excitement for the week...I really love this ebook and think that it will help anyone who wants to learn to knit different kinds of socks. 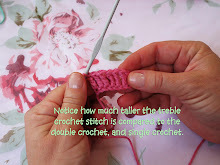 Go ahead and take a look...you will want to cast on straight away! 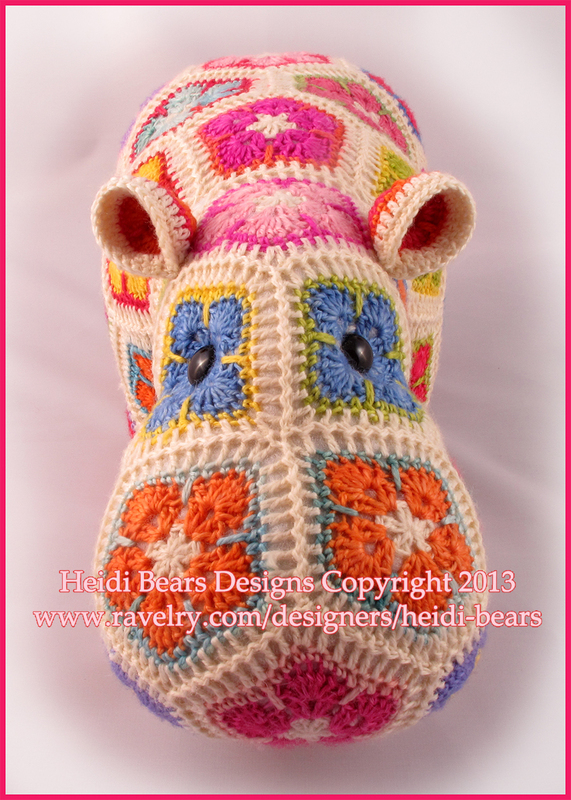 Have a great 2014 everyone...may you knit and crochet happily throughout the year! 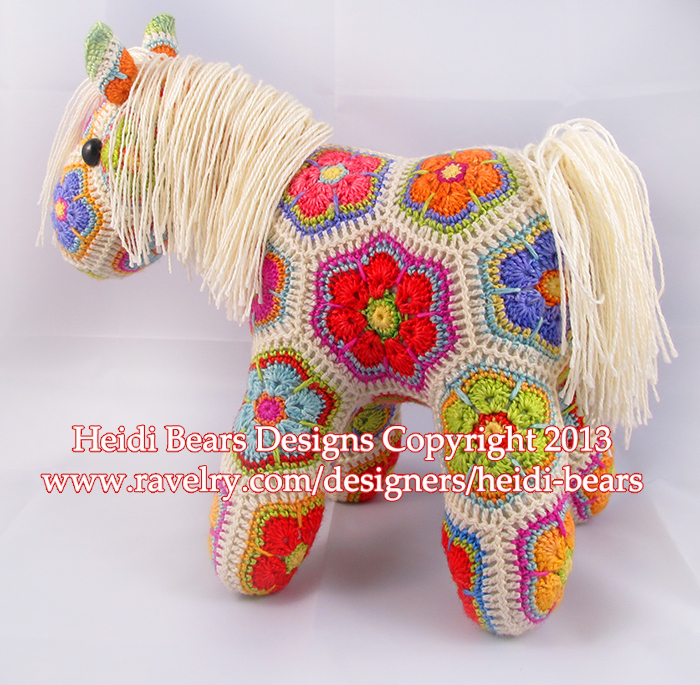 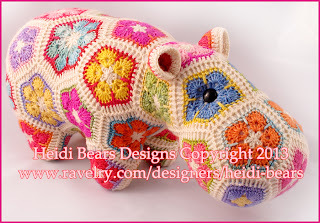 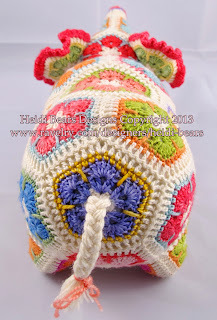 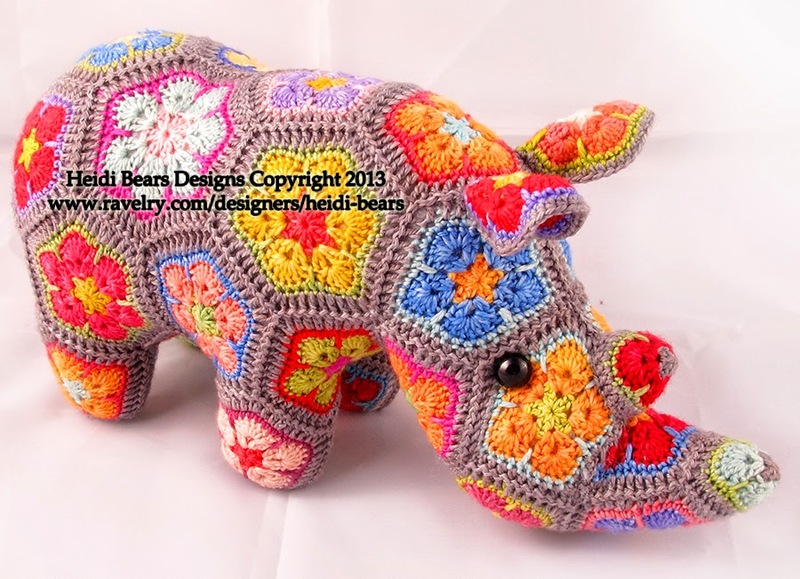 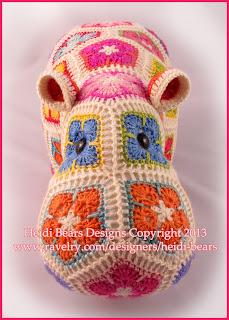 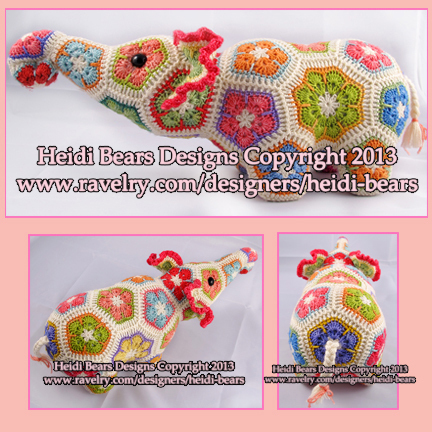 Thandi the African Flower Rhino Crochet Pattern is available! I am immensely happy and proud to have finished my rhino pattern and it is now available to buy on Ravelry, Craftsy and Etsy. 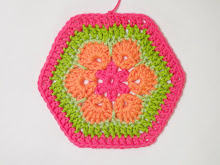 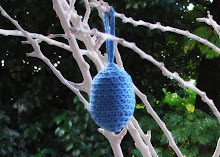 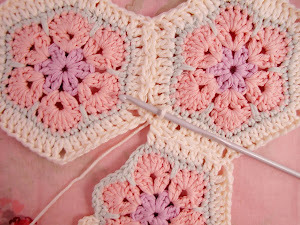 Thandi is the eighth of my patterns that makes use of the African Flower hexagon crochet motif and variations thereof, joined in a specific order to make a recognizable 3D item. 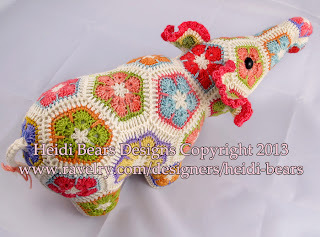 I love this African Flower pattern and the creative possibilities of using it to make 3D items She’s also an excellent stash buster project, as you only need to use very small amounts of leftover sock yarn to make a motif. Please support this worthy cause…whether you choose to buy a pattern or donate to them directly, your help is invaluable in fighting the scourge of senseless poaching…thank you! Thank you very much for all your support folks! 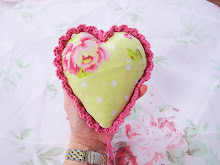 I appreciate each person who has kindly bought a pattern! 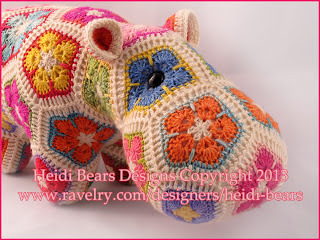 I am very proud of my latest African Flower pattern...introducing Fatty Lumpkin! I have so enjoyed the design process and making of this little pony, that he is dear to my heart :) He is constructed seamlessly with a join-as-you-go , so there are no seams to sew. 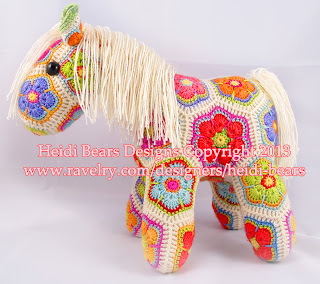 He is made from various colors of sock weight yarn, and is 27cmx28cm in size. I am SO excited to announce that I have completed the pattern for Nellie, my latest African Flower crochet pattern. 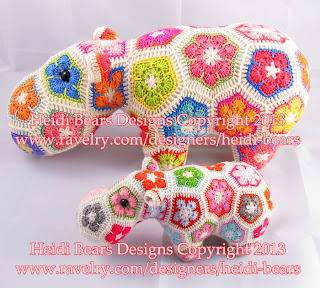 She is a sweet, bright, silly little ellie, crocheted in sock weight yarn and can be constructed seamlessly with a join-as-you-go crochet method which I explain in the pattern. 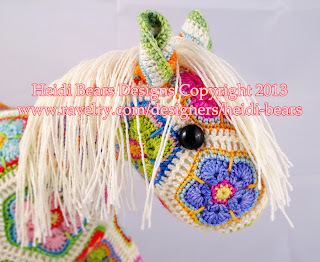 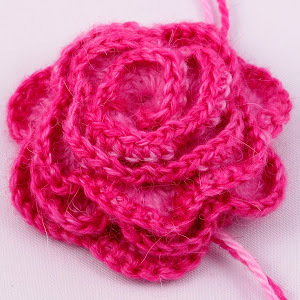 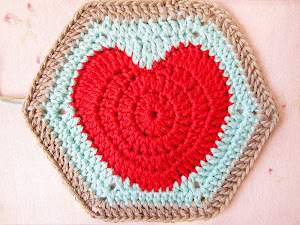 Have a good day and happy crocheting! 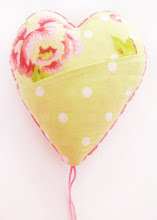 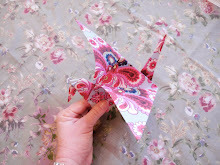 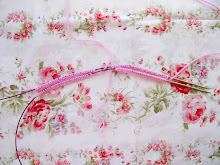 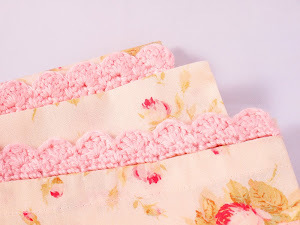 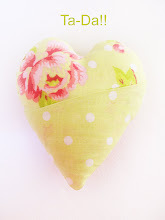 I am so excited to reveal my latest pattern.....Welcome.... 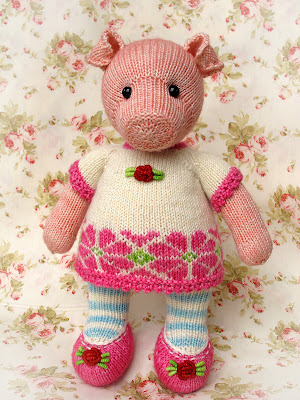 Pigwig! 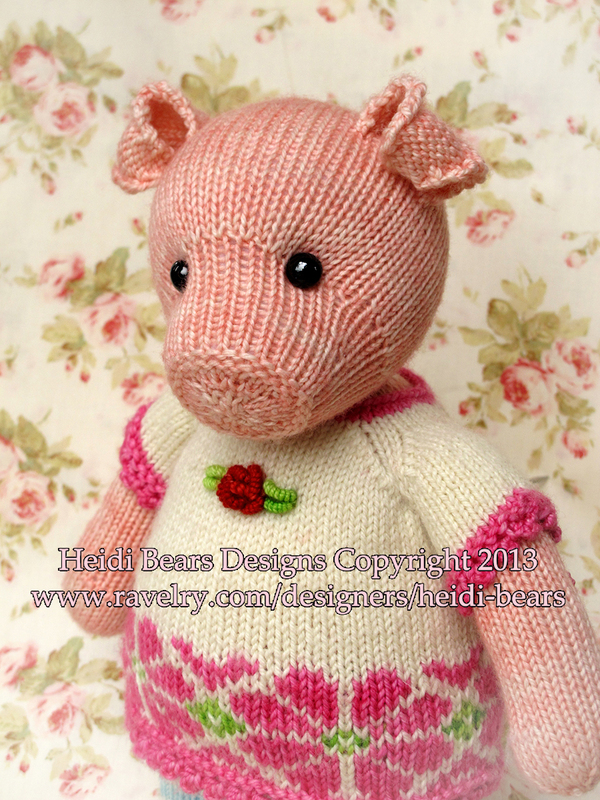 Pigwig is a girl piglet, who is dressed in her prettiest frock and shoes, with stripy stockings...she is knitted, virtually seamlessly, with only the smallest seam on her body and two small seams on her dress. 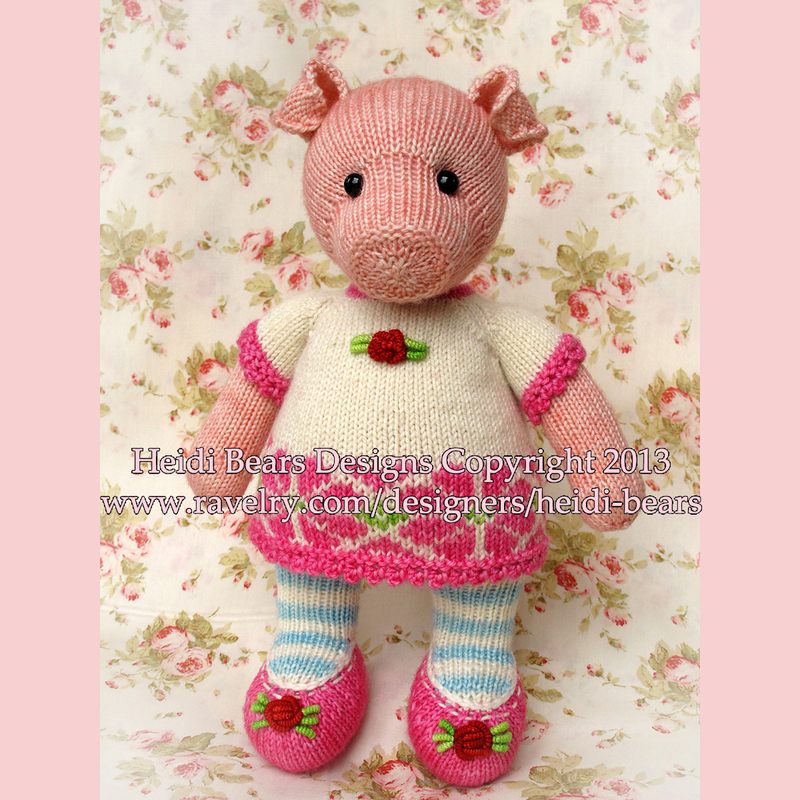 The pattern costs USD 6.00 and can be bought in my Ravelry Shop. I look forward to meeting you in the KAL!